We’ve got a tale of two styles on tonight’s card at the Historical Fight Night Arena. And I don’t mean in the main event, oh no. You’re getting exactly what the names on the ticket would imply you’re getting, as Arturo Gatti and Ruslan Provodnikov are set to fight an absolute war. The contrast comes between the main event and the co-feature. As brutal and vicious as the big show will be tonight, the secondary attraction features two guys who will not be sucked into a brawl; Junior Jones takes on Vuyani Bungu in a matchup that was never made in each fighter’s own time in the 1990s. You’re getting strategy. Tactics. Jabs. An unfolding story rather than a flash. So who’s going to win…in both instances? 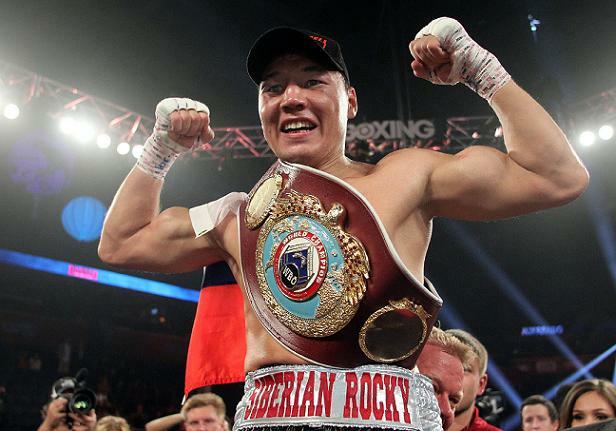 Provodnikov has made a career of getting robbed on the cards, against the likes of Mauricio Herrera and Chris Algieri and even arguably Timothy Bradley and Lucas Matthysse as well. That’s all four of his pro losses. Gatti, on the other hand, has something Ruslan does not; a suspect chin that makes him potentially vulnerable to a one-punch knockout from the fighter with the lesser pedigree. 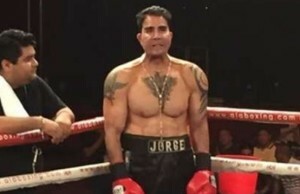 Meanwhile, Bungu was an excellent boxer who was a little bit too easy to freeze and make tentative, as Danny Romero proved in a fight that was an absolute robbery on the cards, while Junior Jones was a guy who, if you got to him and forced him out of his natural style, you could stop. Yet Bungu never had one-punch power; nearly all of his title defenses as the IBF beltholder at 122 pounds went the distance. Jones comes in from a grand folly gone right, as rather than (in the words of George Foreman, commentating for HBO) “trying to steal the fight with his jab”, he went toe-to-toe with Marco Antonio Barrera, landing the right hand with devastating effect, dropping Barrera in the fifth round, and stealing a knockout/disqualification/steaming hot mess of work from Barrera’s cornermen. It wasn’t quite what Foreman had in mind, but the display of power was unmistakable. Bungu, on the other hand, comes in from the final defense of his IBF junior featherweight title before he moved up in weight to get clubbed repeatedly by Naseem Hamed at 126. Bungu steamrolled Victor Llerena in his native South Africa, stopping him in seven rounds, only his second knockout in his 14-fight title reign. Bungu survived a few scares as champion, winning a few too many majority or split decisions in his time. Will Jones prove too much for him? Jones was never afraid to watch film of his opponent; he made reference to watching Barrera in the post-fight interview after his time machine fight. What Jones noticed most clearly ahead of this fight was that you could take away Bungu’s jab by keeping pressure on him; forced on the defensive, Bungu became a very tentative counter-puncher. It was with that in mind that Jones took a page from Danny Romero’s book, harassing his opponent relentlessly and building up a lead over the first three rounds of a fight, making use of his five-inch reach advantage and three-inch edge in height along with Bungu’s tendency to fight in such a tight crouch that he resembled less the dangerous cobra and more an armadillo. Bungu had to open up, and opening up simply wasn’t his style. While he was able to tag Jones with the hook, he couldn’t do it with enough regularity in order to force the pace of the action and drag Jones into fighting the kind of fight where Bungu’s defense and countering could do real damage. All opening up really earned him was a taste of Jones’s right hand. As he had in the Barrera fight, Jones got the right over the top and slammed it over and over against the jaw of the South African. Another three rounds elapsed; by the end of the sixth, the consensus was that Bungu was already in a position where if he did not knock down Jones, the best he could hope for was a draw. Not that you’d notice this from Bungu’s fighting style, which lost all urgency as Jones did to him ultimately what Hamed would do in that featherweight contest. Mind you, Jones was a puffed-up bantamweight and didn’t have the raw punching power of the Prince, nor did he give quite convincing enough angles to land “the punch he never saw” on the chin of Bungu. Jones just kept scoring points, dragging this fight to the level of a one-sided beatdown, just without the decisive finish that would satisfy the bloodlust of the crowd. Indeed, the crowd started filing up to the concession stands late in this contest. Convinced that they would not see a mighty comeback from a man who, indeed, had never given any of his opponents any reason to fear the one big shot at the championship level, they instead made a run on the hot dogs and the nachos and the beer so they would have them to hand during the main event. There was no reason during the championship rounds to see this going anything other than chalk; Jones, energized by the chance to make his mark on boxing history, had been well-conditioned during his 2016 training camp, and he showed no sign of wasting stamina as the eleventh and twelfth rounds ticked away. That’s right, folks, this is not a true old-vs-new fight. 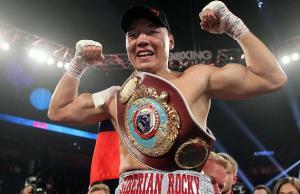 Provodnikov’s getting a time machine ride in his own right, from his stoppage of Mike Alvarado in the fall of 2013. Gatti, meanwhile, gets his time machine ride from the second fight with Micky Ward, the one he won by the greatest and most obvious margin, when he beat Micky from pillar to post over ten rounds in a fight that may have been less competitive but was no less entertaining than the other two in that epic trilogy. Provodnikov came out with a distinct awareness of his opponent’s pedigree, of the kinds of wars that he’d been in, and with an understanding that he had one thing in his arsenal that Gatti lacked. See, Gatti went down a lot during his career. Fighting from off the floor was practically his stock in trade. Ward dropped him in their first fight and again in their third. Angel Manfredy dropped him. Wilson Rodriguez put Arturo on the floor. Tracy Harris Patterson dropped him clean, but referee Rudy Battle (one of the worst in his day—watch him work the Bungu-Romero fight and you’ll see he’s a graduate of the Joe Cortez school of self-insertion) ruled it a low blow. Oscar De La Hoya and Floyd Mayweather pounded him like cheap steak. Ruslan? He’s never been down, but he’s put a lot of other guys on their duffs, even champions. Provodnikov went right to the body with the left hook, dispensing with the jab, knowing what Micky Ward knew; the best way to beat Arturo Gatti is not to let him have a chance to outbox you. And for the opening stanza, the Russian got the better end of the deal. Gatti opened up, because if his opponent was just going to walk through his jab and kick down the gates of Hell, Gatti was going to fight like the devil on the other side of the gate. “Thunder” put the right hand over the top of the hook to the body, getting smacked as often as he got there first, wincing in pain when the big shots coming at him landed but staggering Provodnikov backward when he landed a clean right hand of his own. The crowd didn’t mind. They were getting their money’s worth. Provodnikov mixed in the right hand to try and nullify Gatti’s hook to the body, and when coupled with the left, it did some damage. Gatti, as he tended to do even on the scale at the weigh-in, began to swell up around the left eye when a couple of stiff rights landed on his face. His visibility wasn’t as good, but it wasn’t going to matter quite as much when the money punch still hadn’t swollen his other eye quite yet. As such, Gatti, the berserker rage in full flower, charged forward with his hands in constant motion, forcing Provodnikov back and giving him a sound beating in the corner. The Russian did not, however, go down. 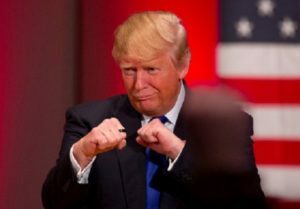 He merely blocked what he could, punched back when a sliver of light presented itself, and otherwise survived a round that looked more strategically akin to Homer Simpson waiting for his opponent to punch himself out than like a competitive contest. Just what Freddie Roach said in Provodnikov’s corner to rile him up, nobody quite gathered, but Provodnikov came out in the fourth with his hands up and his shoulders positioned as battering rams. He bullied Gatti back to the ropes and unleashed a monster combination of a right hand used as a lead followed by a left hook to the body, which crumpled Gatti on the floor as Smoger took up the count. The anguish was clear, the questions swirling whether he would rise from the blow or whether indeed his very ability to get his wind had been critically compromised. Gatti stood, and Provodnikov went to work. It was unrelenting, all skill dispensed with and all defense thrown to the wind. Gatti, still in terrible shape from the knockdown, absorbed enough punishment for a career in the space of a minute. Provodnikov, throwing with murderous intentions, seemed to be throwing the dice on getting a stoppage. But the stoppage? It ran against the limits of Ruslan’s stamina, the man having punched himself out. Gatti came back, summoning strength, catching Provodnikov first with a left hook and then, once that hook had opened Provodnikov up as he tried to recover, coming back with a monstrous flurry of his own. Gatti’s punches thundered upon the head of Provodnikov. Any lesser man would have fallen, but the Russian’s chin held. As the round moved into its final minute, it was once again the Russian’s turn. As Gatti’s punches slowed, Provodnikov got in a straight right hand that rocked Gatti to his core. This time it was Gatti whose chin defied its own history, as the constant barrage of punches, any one of which could have ended this contest, crashed home. Echoes of Larry Merchant’s quote from the first Ward fight of “I am humbled by what I am seeing” seemed to ring in the ears of all the fans in attendance. Gatti was out on his feet, or looked to be so, but in this win-or-die-trying shootout, a fight where the referee seemed bent on not stopping it unless there were a confirmed report of the Grim Reaper himself trying to crash the box office, Steve Smoger let Gatti finish the round. Provodnikov had his 10-8 round, and we had ourselves a fight. The next round settled down a bit. Provodnikov got a flush left hook on his face early in the fifth, and Gatti, still recovering from the demolition he had suffered in the fourth, finally got his chance to box without too much interference from the Russian. Gatti’s punches were thrown to keep distance rather than to force the pace of the action, and with his opponent stunned, it was time to let that stamina bar recharge. Whether Gatti would come to regret not putting more effort into pressing the advantage, time could only tell. As it stood, the fifth round ended with a point having reverted back into the scorebook for the man from Jersey City. A minute on the stool in the corner was all it took, and Provodnikov was back at it. He came in ripping the hook to the body, trying to fold Gatti in half once again. Arturo was forced by circumstance to keep his guard a little too low, and he ate one hell of a left hook up top for his trouble, a hook that created a telltale sign that time would not be Gatti’s ally as the fight went on. As his right eye started to swell as badly as had his left in the first three rounds, thoughts of “hit the one in the middle” filled his vision. Provodnikov chased Gatti into the corner, again delivering a vicious assault, trying to put as much damage as possible on his opponent, and when his arms began to get tired, Ruslan simply shortened up his shots and tried to use his shoulders to hold the position. Which, in turn, had him leaning a little too far forward as an attempted hook up top from Gatti connected as a clear rabbit punch. The effect stunned Provodnikov, and that was the opening Gatti needed. Again, it was Gatti’s turn to pound away, and this time he focused his efforts on the body as Provodnikov tried to protect his aching head from taking further damage while he shook the effects of the rabbit punch off. As the round ended, the frenzy reached a fever pitch in the crowd. The CompuBox numbers showed that each man had landed more than half the punches he had thrown in the fight. Gatti could barely see; Provodnikov might very well have suffered a mild concussion from the rabbit punch. The two men continued, fighting on will and instinct, and there were still five rounds to go. Provodnikov landed at will to the head and body. As he focused his efforts on the midsection, another left hook crashed cleanly home…and once again, Gatti was down. Again, Smoger took up the count. Again, Gatti looked as though he’d been hit with a sledgehammer rather than a punch. Provodnikov had done it. His own superior chin had proven the decisive factor. Gatti had been upset; many thought him the favorite in this fight, but the pure power of Provodnikov and the feverish pace of the fight had proven his undoing. Chants of “Rematch! Rematch! Rematch!” echoed through the crowd…and we might very well see exactly that given time. And our main event: Larry Holmes against the 1965 version of Muhammad Ali. No last hurrah, no faded man clearly past the point of no return for his career. This is Ali in his prime. Can the Easton Assassin get the job done? That’s next week. In the meantime, thank you all for a great first year on this show, and we’ll be giving you more great fights in Year 2!